Council has recently introduced a 3D modelling system to help guide strategic planning decisions and development assessment in Waverley. 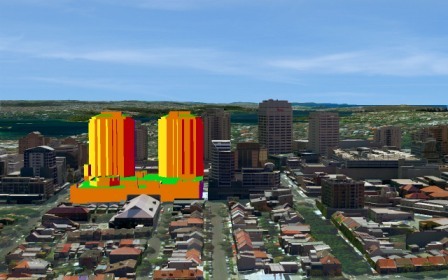 The new technology maps out the Waverley area in 3D so that Council can visualise development in the local area more accurately than ever before. 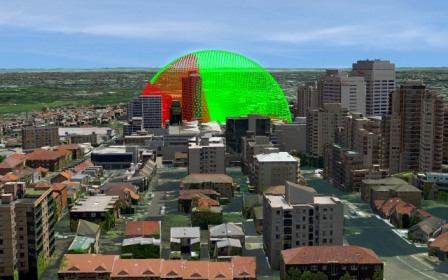 The technology, which enables a proposal to be viewed from a variety of angles, is being used to analyse and assess development proposals, including their impact on the surrounding area. Multiple proposals can be inserted onto a site to determine a suitable design solution for the individual context or the collective urban area. 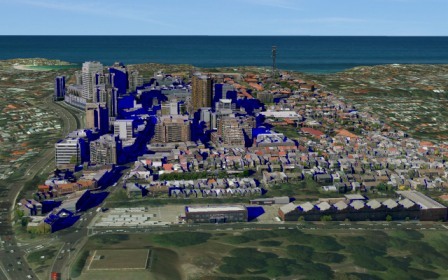 Town Planners are currently using the interactive model for accurate shadow casting, view analysis and urban design investigations. Council is also using the technology to identify opportunities for improvement of Waverley's public spaces, as well as to help visualise state and local planning controls. This will assist Council in shaping the Waverley community and plan for its future development. The Waverley Digital Model will assist both Council and local residents to visualise development that is happening in their community. You may be required to submit a 3D digital model as part of your Development Application (DA). For more information about the requirements for submitting your digital model, please download the 3D digital model checklist and information sheet.